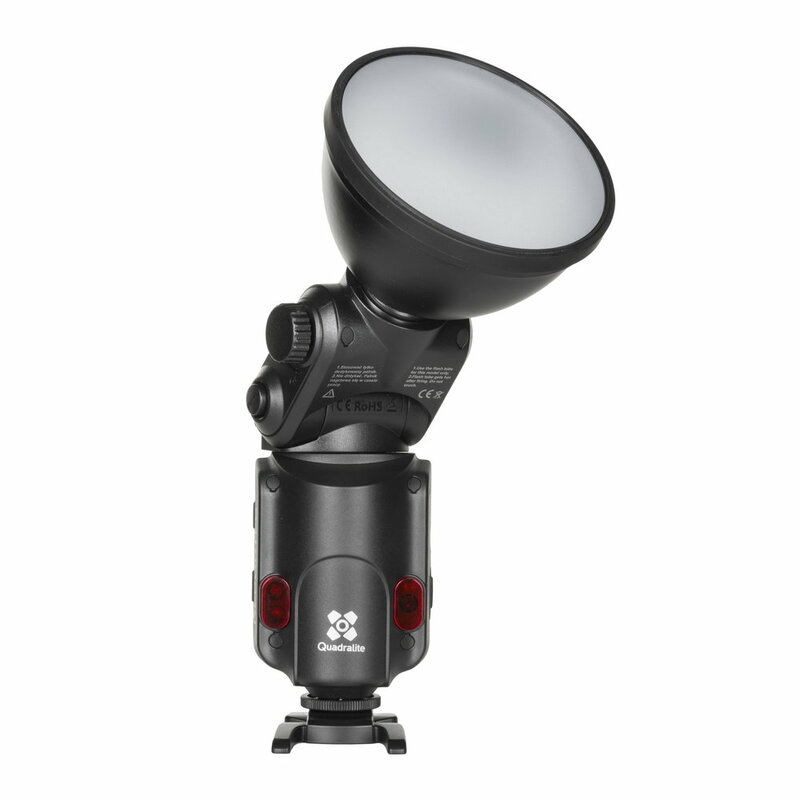 It is designed for professional photographers and photo entusiast who like to take the light source on to the location. 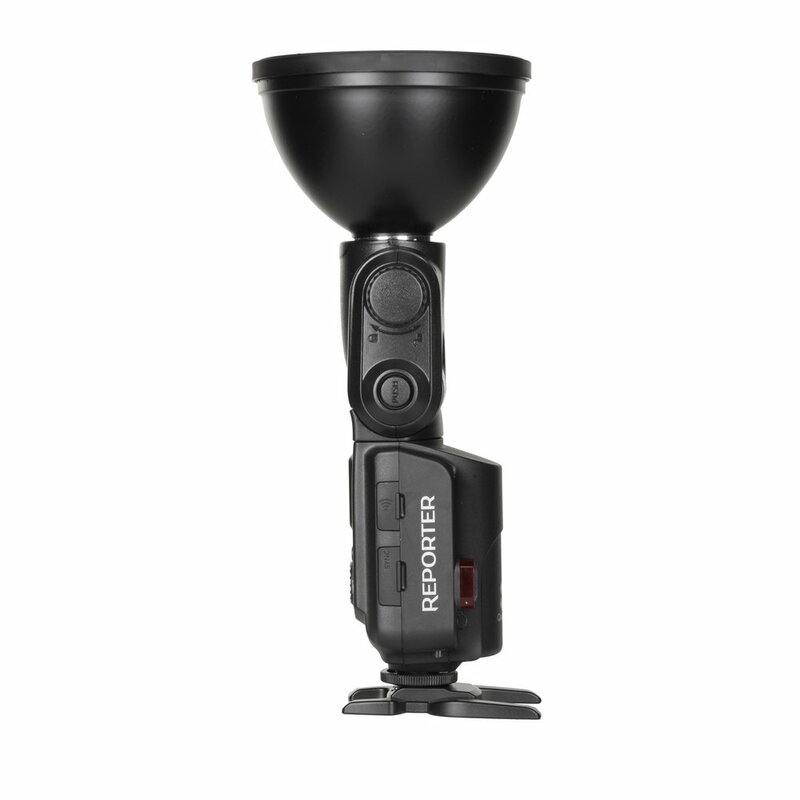 Convenient feature of Repoter 180 is possibility to connect two lamps to one PowerPack 45, using the special adapter. It is equipped with bare bulb which gives even and sufficient illumination. Whole lot of additional accesorieries may be use with Reporter lamp, softobox, fold-up umbrella, beauty dish, snoot, light stand, etc. (additional accesories need to to be purchased separately). It makes it suitable for portrait, fasion and glamour photography in studio and on location as well. Reporter 180 has built-in radio receiver which allows to communicate with radio receiver - Quadralite Navigator. 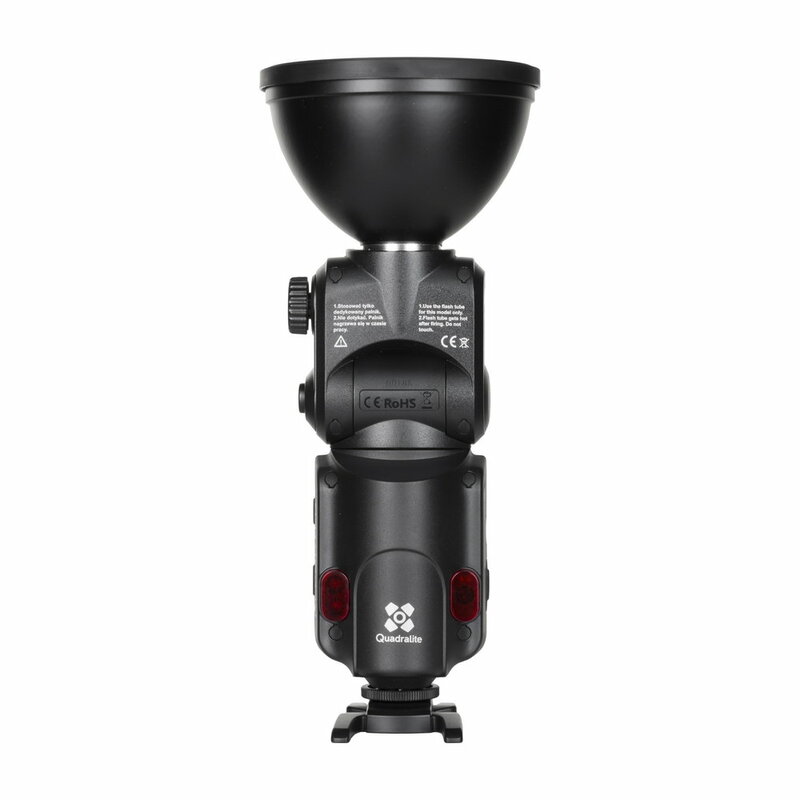 It gives full control over the lamp allows to flash and control settings of Reporter 180 or group of the lamps. Full and precise control over a light output gives select dial which allows to adjusting power from full to 1/128 in 1/3 stop increments. Color temperature over the whole power range is ~5600K. Reporter is powered from external Powerpack 45 (11,1V/4500mAh). 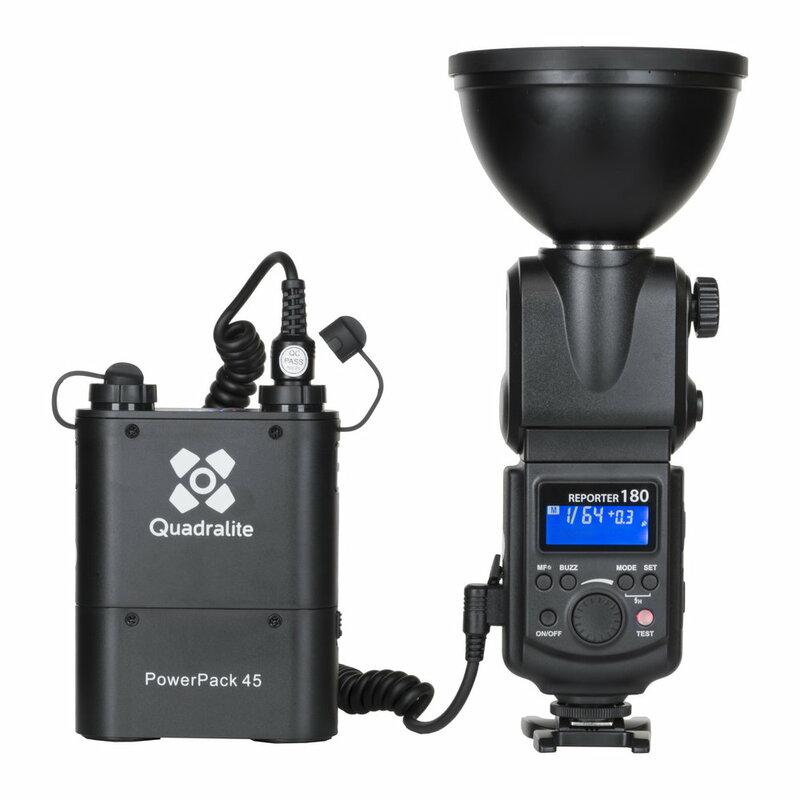 Fully charged Powerpack 45 allows to 450 flashes at full power. Compact size, lightweight body and accesories make this lamp very portable and easy to use outdoors. additional accessories: softboxes, reflectors, umbrellas, beauty dishes, etc.